A new set of sims with Nautilus in the title has been discovered, and is now open for exploration. I have had a few problems getting there myself, so teleported to a nearby sim and flew across. It seems quite mysterious that other people have had no problems at all. 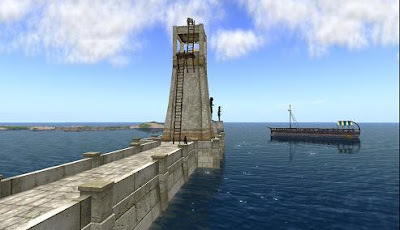 The SLURL for the Nautilus - Baal sim is here.